A dozen skateboarders take turns pulling tricks on a bench centred in an iceless skating rink. Forty or so spectators huddle around the boards, chatting, drinking and waiting for the tournament to begin. A loud blow horn signals the end of the warm up. “Alright, let’s get this thing started,” says the organizer, the man with the blow horn, David “Boots” Bouthillier. 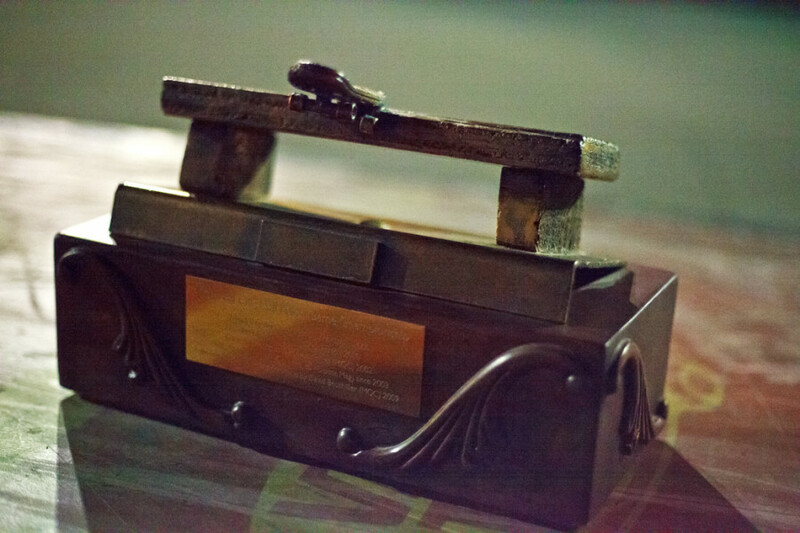 Eyes shine as he lifts up the trophy—a miniature wooden platform with the names of all past 15 winners inscribed in bronze. It seems like a glamourized footstool with no cushion, though you wouldn’t know it the way it catches the overhead floodlights’ glow. A tiny skateboard sits on its top like a cherry on a sundae. Welcome to the 16th edition of Montreal’s City Hall Poser Game Championship. 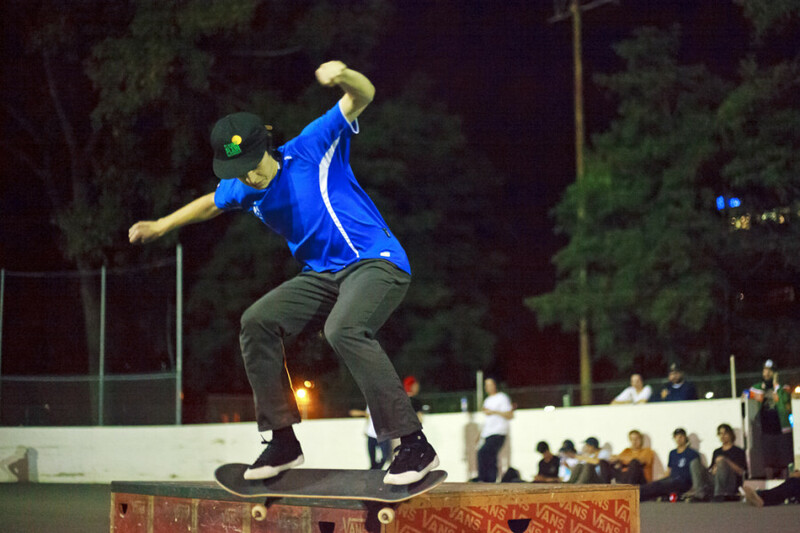 Every summer, skateboarders from all over come together in the outdoor rink at Veterans Park to test their skills and earn the bragging rights of calling everybody else a poser. The rules are simple: the first competitor “calls” a trick that they then try to pull off the bench. If successful, all other competitors have to perform the same trick. After everybody’s attempts, the first skater continues to propose until he misses. Then, in turn, the next skater proposes a new trick. “It’s kind of like a game of horse,” says Bouthillier, referring to the basketball duel. 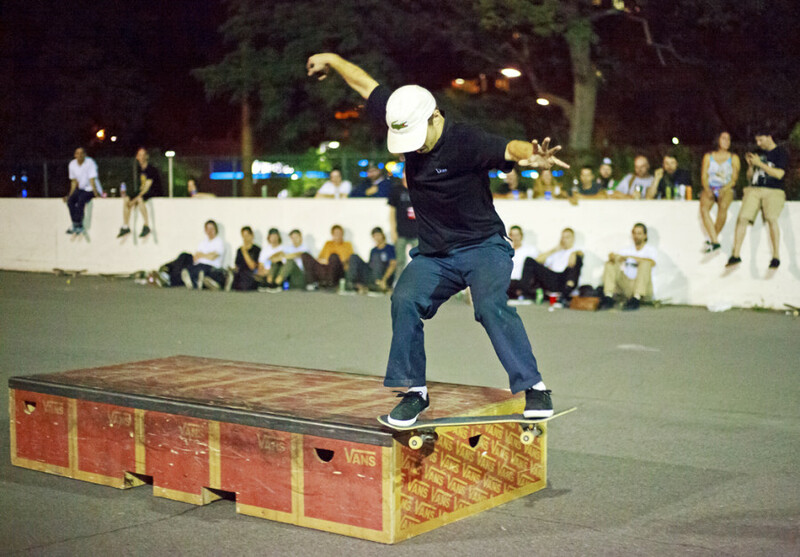 Competitors who fail to land a trick get a letter, starting with P. The elimination process begins when skaters get enough letters to spell POSER. The entry fee is five dollars, which accumulated serves as the prize money. Winner takes all. 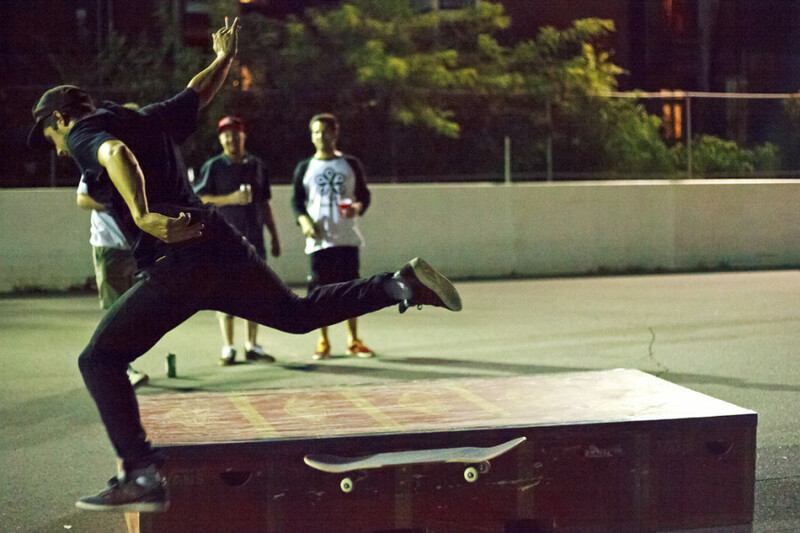 The tournament—now a staple in Montreal’s skateboarding subculture—started in 2000 as a simple but brazen bet at City Hall. Bouthillier says the group went to the now vanished Molson parking lot to finish the game. Sixteen years later, the championship is still going strong. 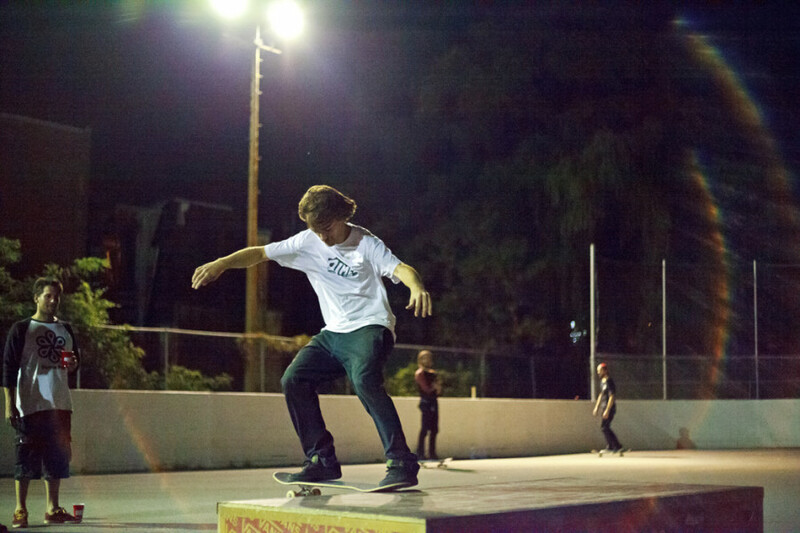 After two years, Mailhot gave up on skateboarding and moved out of the city. Bouthillier took up the torch. Nowadays, he is better known for helping legalize skateboarding in Peace Park. Veterans Park seems a perfect spot for the event with its outdoor skating rink and boards—a picturesque scenery of Québécois urban culture. “The last five or six or seven, eight years, we’ve been doing it here, because we don’t have any problems and it’s been great,” says Bouthillier. Due to its vague legal nature, the clandestine event continues to encounter problems though. Now, in his mid-thirties, the skating aficionado and underground legend barely tries to hide his youthful enthusiasm. A keg hidden in a garbage can provides refreshments for ladies and gents as the athletes outdo each other on the bench. The competition is fierce but doesn’t last very long—20 minutes at most—before a skater survives all others. The way the game is set up, there can be only one. “Antoine Asselin and JS Lapierre both won the trophy three times consecutively,” says Bouthillier. Last year’s champion Zander Mitchell steps up. Some of the spectators had their money on him from the start. The gangly boy—who looks barely out of puberty—uncorks the winning bottle of champagne, spreads some foam on the pavement and guzzles down his prize. He’s got the blasé look one can find in the eyes of most superior athletes. Somehow, they just know they’re better than you at something. “Keep the trophy,” he says as he hugs Bouthillier and grabs on the purse money and champagne. 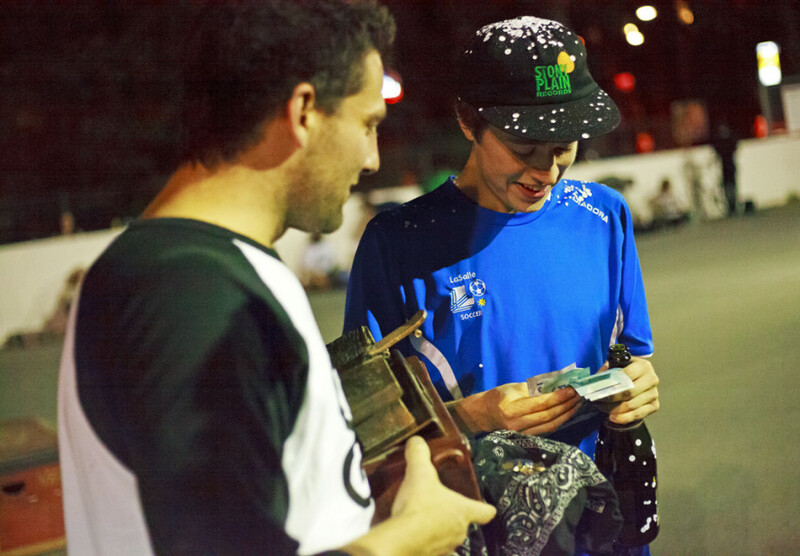 A friend of Boots and fellow skater, Karim Sikander, comes to the meet every year. Sikander sang praise for Bouthillier’s work, who has been hailed by many as the godfather of skateboarding in Montreal. 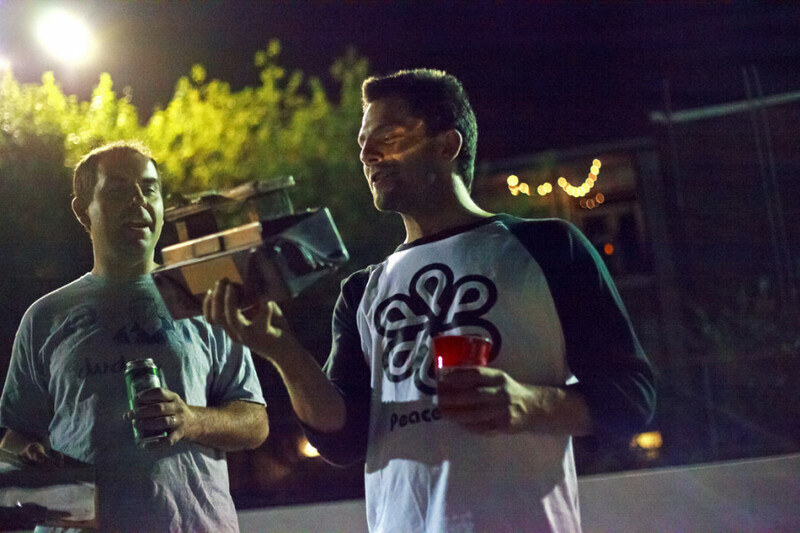 “Dave is making huge waves for keeping skating legal in Peace Park,” he says. “It’s like a whole movement in itself. It drove out all the crackheads that used to go to there.